Instagram is an amazing platform. With over 1 billion users active on the platform every month, this social media behemoth represents an unprecedented opportunity to reach an audience of millions for your personal brand or business. But before you get started building out your Instagram profile, finding a unique IG handle (i.e. username) that with resonate with your audience, be memorable and represent you and/or your company is vitally important. But where do you start? Coming up with cool usernames that haven’t yet been scooped up can be challenging, time-consuming and downright frustrating. Just when you think of that perfect username you quickly learn its already been taken! UGH! But there’s a new player in town that can help you find fun username ideas: a username generator. 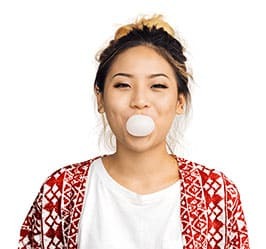 Thanks in large part to this social media platform’s popularity, Instagram username generators are on the rise and better than ever. let us help you figure out which Instagram username creator is best for you! Sure, you can spend time, effort and countless hours trying to come up with your own username ideas. But why not let technology do the heavy lifting for you? Name finders can come up with dozens of username ideas on the fly for you to choose from or draw inspiration from. If you go at it alone the chances of being able to snag your own name are slim. That means you’ll probably need to get creative. Trying to pick a clever handle can be tough. That’s where an Instagram profile name generator can help. These days, there are dozens of user handle finding tools on the market, making it difficult to know which one is best for finding the perfect username. Picking an Instagram handle is tough enough already. 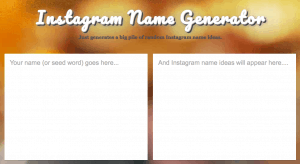 So we’ve narrowed down the five best Instagram username generators. Check them out below and learn which ones are worth your time and energy. This one’s easy and fun! 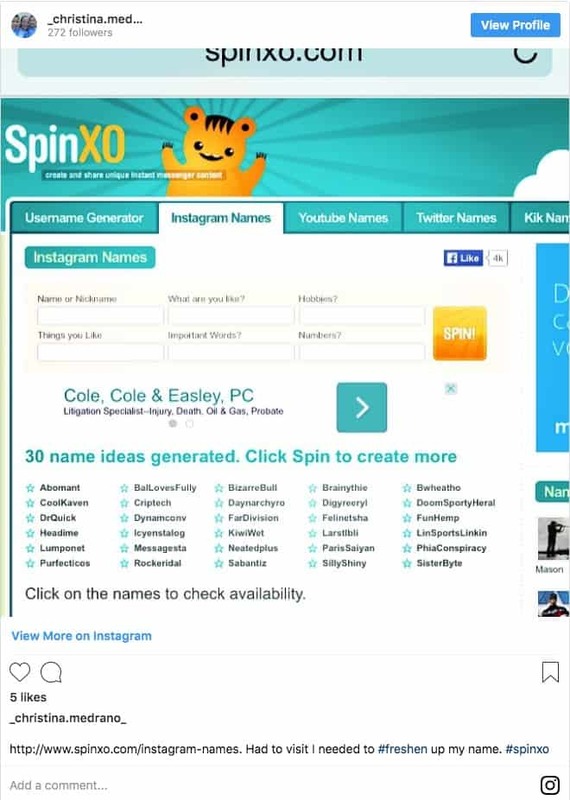 SpinXO is an Instagram username generator that asks you just six questions. 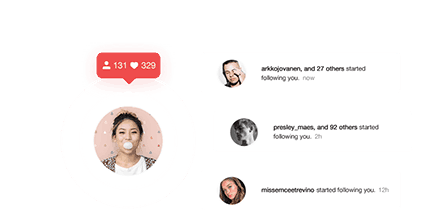 With the answers, the site provides you 30 Instagram username options. So what does SpinXO want to know? First up, it asks for your name or nickname. Simply pop in what you’d like to be called on Instagram. Second, it asks what are you like? Here’s a perfect place to pop in your favorite adjective about yourself. Third, SpinXO wants to know one of your hobbies. Do you love to sew? Do you love to play golf? This is your chance to include something you love to do. The fourth prompt is more generic: things you like. You can really get creative here. List your pet’s name, your favorite food, your favorite type of car… the possibilities are endless. Fifth, SpinXO wants to know if there are any important words to include. It’s another place to think outside the box. Maybe you want to add another adjective, or something about your career. Finally, they ask for numbers. Put in your lucky number, your jersey number or your birthday. And now you’re ready to go! Hit spin and get your personalized list. SpinXO then gives you 30 options. All of them incorporate your answers, giving you plenty to choose from. Not happy with the list? No problem. Just hit spin again and you’ll get a new round of options. Looking to do a little less work? Our next Instagram username generator asks you nothing but your name! Yep, this one is super simple. Jimpix lets you put in your name and choose from 35 categories. And these aren’t your standard numbers and hobbies. Jimpix’s categories get pretty random. You can choose from categories like Rivers in Scotland or Dickens. Or you can choose random – meaning Jimpix will pick the category. This means you’re guaranteed to have a unique username. This is great for those who want to use their own name, but with something added to it. So go with Jimpix if you want to have the most random, unique name that also includes your own first name. Perhaps you want a more random Instagram username. Lingojam is an Instagram username generator that really thinks outside the box. With an easy user interface, Lingojam lets you put in your name or whatever word you’d like to use. Then voila! Lingojam gives you tons of options. You might be a little baffled by some of them, but maybe it will be exactly what you were looking for. The best thing about Lingojam? It’s by far the most simplistic Instagram name creator out there. One click gives you dozens of unique ideas. What more could you want? If you’re looking for an Instagram handle that’s a certain number of characters, choose Username Generator. This one’s user friendly. Simply pop in your and pick a desired length. You can choose between less than 10, less than 15 and less than 18 characters. Then just hit generate! This generator will give you some pretty random options. Sometimes they’re a little nonsensical. But hey, that’s almost a guarantee that they won’t be in use by another Instagram user. Hoping to stay completely anonymous on the internet? In that case, Username Buddy will really be your friend. 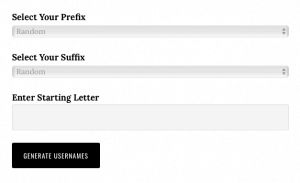 Their random generator lets you choose a starting letter, and then pick a prefix and suffix category. The categories range from movies to car brands to body parts. The results? A little bit of alliteration combining the two categories. Username Buddy is a great option for parents picking an Instagram username for their child. It’s also great if you don’t want to be found by coworkers or acquaintances. Not afraid to use your first and last name? Speedy Password is an Instagram username generator that allows you to put in both. Their first question is what type of username are you looking for. You can choose from positive, negative, Shakespearean, space, baseball, heroes and villains or unicorns. It’s then optional to put in your first name, last name and any lucky number. There’s one drawbacks with this one. If your last name is long, you might exceed the character count Instagram allows. But if that’s the case, you don’t have to use your last name. All of the fields are optional on Speedy Password. If you’re in need of help picking a handle, IG username generators are a great way to start the creative process and find cool usernames fast. From combinations that include your name or business, to hobbies or other elements, the combination possibilities are virtually endless. Not happy with the profile name ideas provided by one tool? Lucky for you, there are plenty of random username generators out there to try, and there’s no need to limit yourself to any one name finder. Whether you’re starting a new account or just want to change yours up, give one of these Instagram username generators a try!